Currently on view at the Canessa Gallery in San Francisco, the arresting images in photographer Karen Preuss’s exhibit tell the compelling story about the demise of the Gravenstein Apple industry and its current revival. 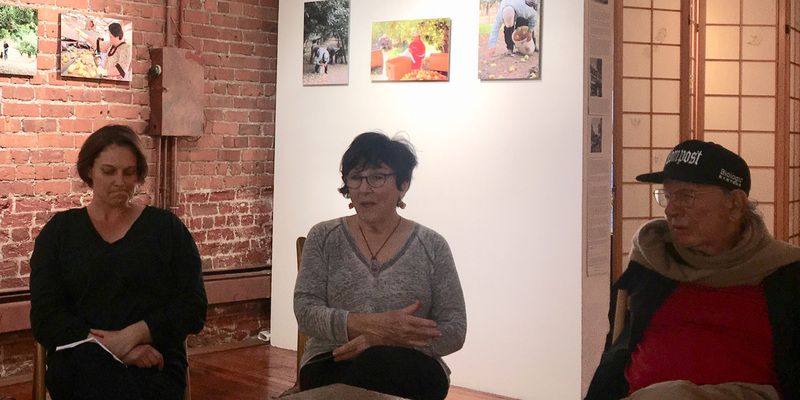 At the July 6 opening, friends, local art lovers and members of the Slow Food Russian River (SFRR) chapter, of which Preuss is president, gathered at the historic gallery. Wine glasses in hand, attendees thoughtfully circled the gallery, then listened intently to an informational panel discussion which included Preuss, Jonah Raskin, who wrote the exhibit text, Paula Shatkin, founder of the Gravenstein Slow Food Apple Presidium, and Rebecca North, Director of Quality and Supply Chain at the FruitGuys, a distributor of the local apple. Panelists Rebecca North, Paula Shatkin and Jonah Raskin discuss the Gravenstein apple’s history and future. Today, the “Grav” is experiencing a renewal as more people become educated about this appealing variety through the work of volunteer organizations like the SFRR Apple Core. Thanks to the demand for hard cider production, farmers are planting orchards which, ironically, can sometimes bring a higher profit margin than the grapevines that replaced them. North said that her company sells this unique variety locally and to former Sonoma residents who’ve moved away. 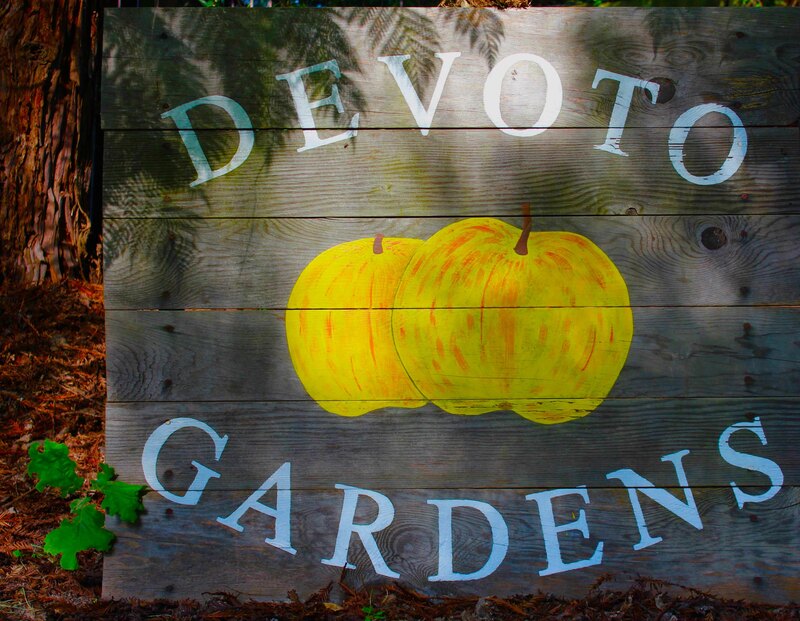 The Fruit Guys also have a program, GoodWorks, to support small, sustainable farmers who grow them. 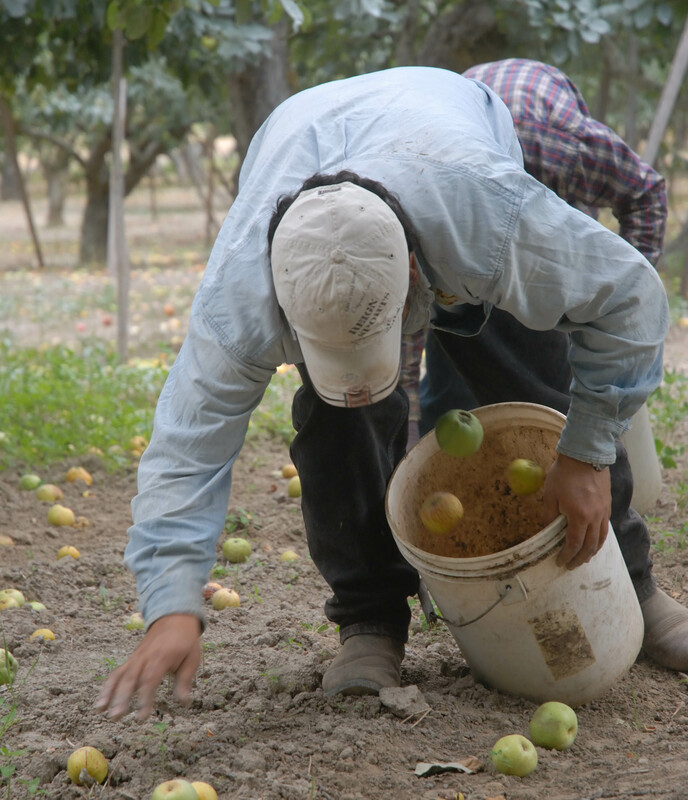 A favorite photo of the photographer, this image shows workers picking up the freshly fallen fruit, which occurs when the fruit is ripened. Exhibit photos of the orchard workers show the laborious hand-harvesting that the delicate fruit requires, as well as close-up images of workers’ hands and faces. According to her website, Preuss “specializes in location photography of people worldwide, promoting communication and understanding.” This exhibit is tangible evidence of her success. Click to see more Gravenstein photos by Karen Preuss.